Engage your students from DAY 1. Are you struggling to find resources that will keep your students engaged during your Medieval World History lessons? You're in the right place! 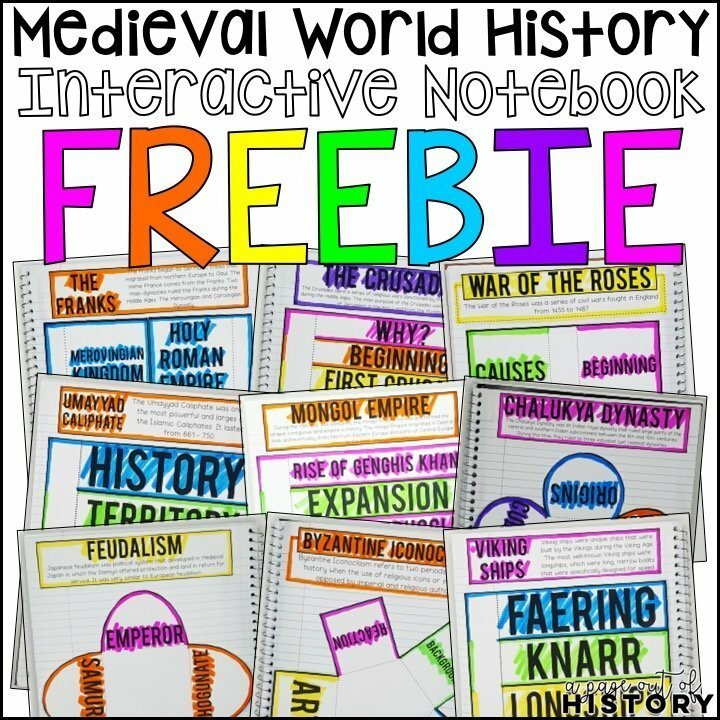 These FREE interactive notebook pages are the perfect addition to your Medieval World History curriculum! Yes, I want the FREE interactive notebook pages! By entering your details above, you will be signed up for the A Page Out of History weekly newsletter. You will receive weekly free social studies resources, tips, tricks, and more! Sign up below get your FREE interactive notebook templates!